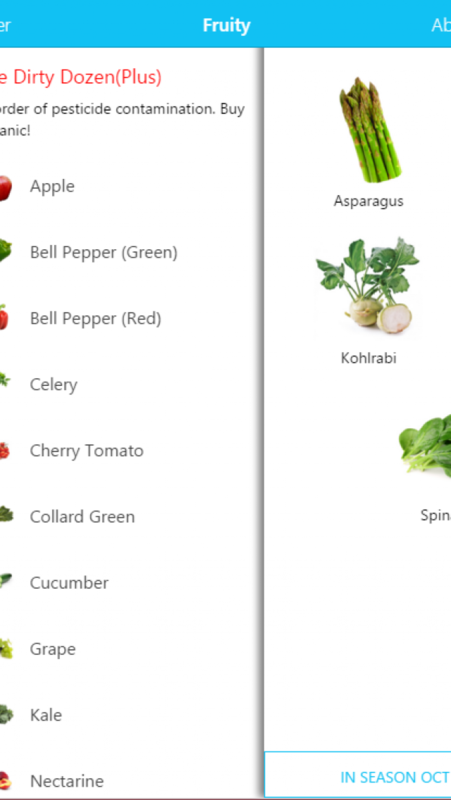 This is software for windows 8/10 that let you know how to choose fruits and vegetables. 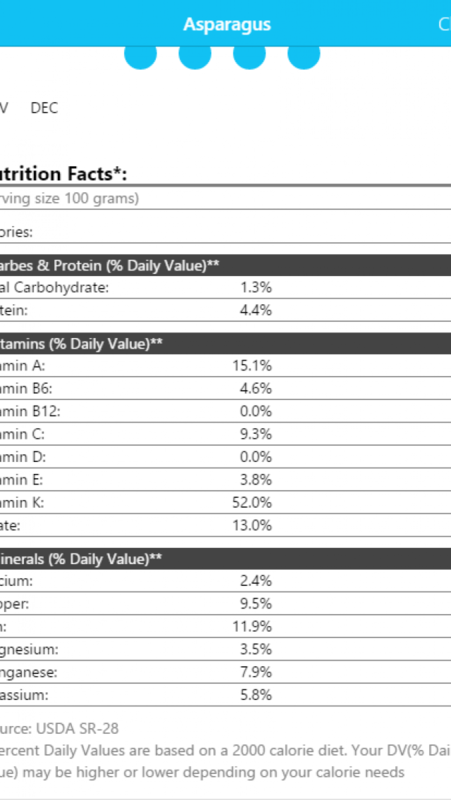 You also can check the nutrition facts in this small tool. 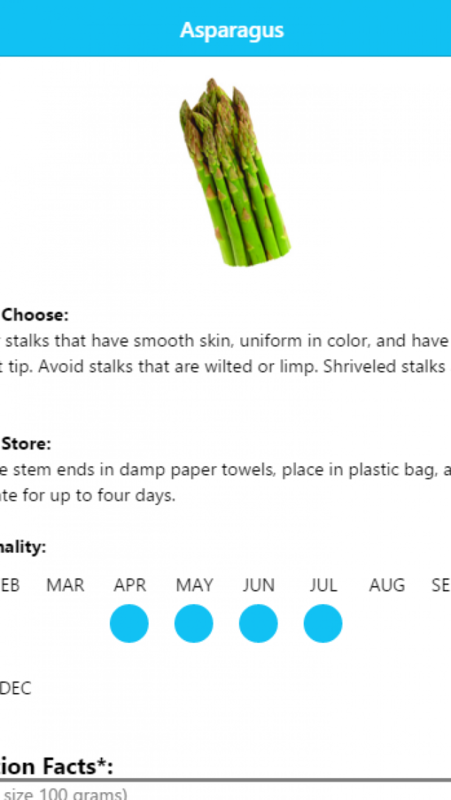 Fruitty is the simplest way to help you choose the best fruits & veggies. Designed with real image and a simple interface, Fruitty shows you what produce is “in-season” — meaning what is popular and cheap. 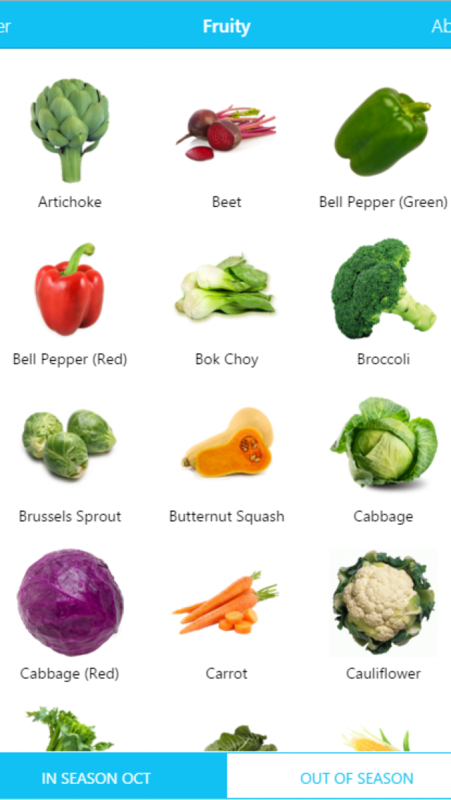 Swipe right, you can see the list of "Dirty Dozen" , which are the fruits & veggies with the highest pesticide contamination. Tell you which you should buy oragnic. And by swiping left, you can see the list of"Clean Fifteen": the food with the lowest pesticide residue and are the safest conventionally grown crops to consume. Then you needn't buy organic. And all fruits and vegetables you can learn more from nutrition facts.